10 owners from new, last owner since 2013. MOT 16th October 2017, no advisories. Original owners booklet, every MOT from new, all old tax discs, huge amount of paper work. Extensive service history with the service book fully stamped and extra pages added just look at its history! 1991 3,667 miles – Strattons Wilmslow Ltd – A service. 1992 7,976 miles – Saab Manchester – B service. 1993 10,190 miles – Strattons Wilmslow Ltd – A service. 1994 11,533 miles – Strattons Wilmslow Ltd – A service. 1995 12,166 miles – Henlys of Chester – A+C service (cambelt). 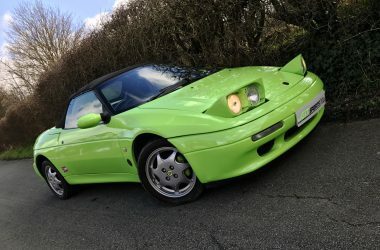 1995 12,176 miles – MOT. 1995 15,413 miles – Henlys of Chester – B service. 1996 17,341 miles – Christopher Neil Ltd – A service. 1997 19,818 miles – Christopher Neil Ltd – B service. 1997 20,540 miles – Chris Foulds Ltd – A service. 1998 20,770 miles – MOT. 1998 33,293 miles – Lake Side Engineering – B+C service (cambelt). 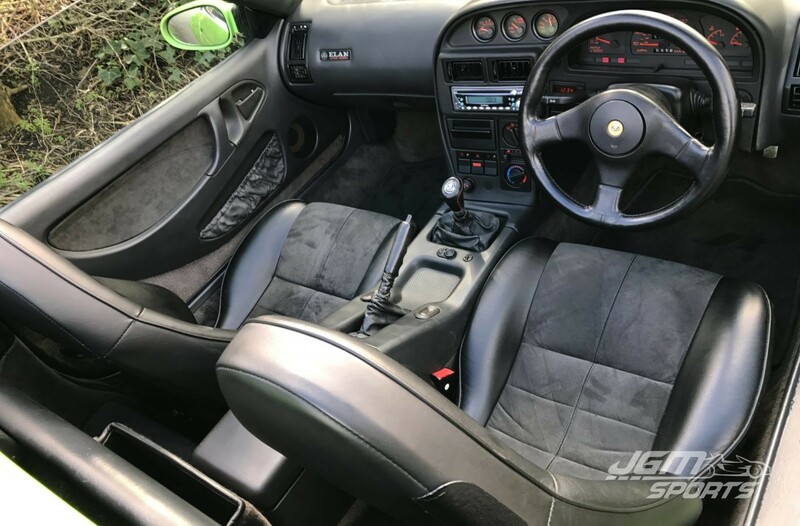 1999 38,469 miles – Storms of Leicester (Lotus) – A service. 1999 42,442 miles – Lake Side Engineering – B service. 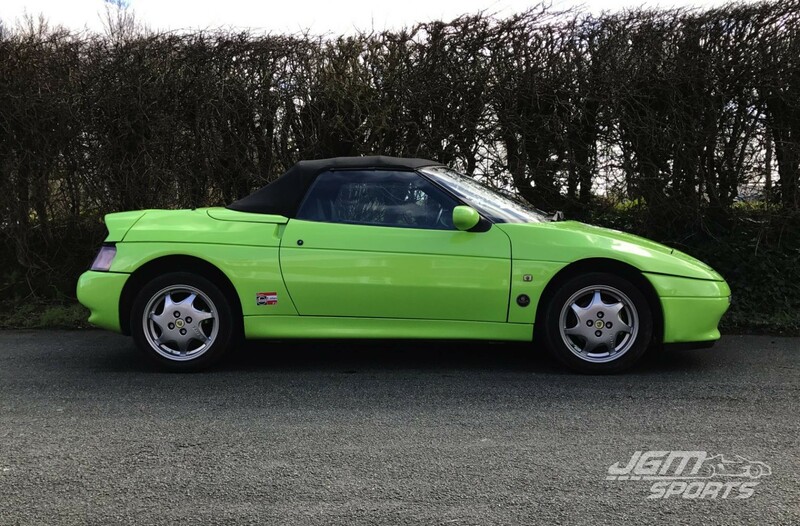 1999 43,571 miles – MOT. 2000 44,497 miles – Lake Side Engineering – A service. 2000 45,116 miles – MOT. 2001 48,469 miles – Storm of Leicester – B service. 2002 53,679 miles – MOT. 2002 53,997 miles – Chamberlains – A+C service (cambelt). 2004 59,089 miles – Chamberlains – B service. 2004 59,213 miles – MOT. 2005 60,908 miles – MOT. 2006 68,323 miles – MOT. 2006 73,780 miles – Kevin Welch Jaguar Specialist – A+C service (cambelt). 2007 75,885 miles – MOT. 2008 88,905 miles – MOT. 2008 91,149 miles – South West Lotus Centre Ltd – A service. 2009 97,861 miles – Sportsomotive Lotus – B service. 2009 97,875 miles – MOT. 2010 102,302 miles – MOT. 2010 103,014 miles – Westover Sports Cars – A service. 2012 111,030 miles – MOT. 2013 112,558 miles – MOT. 2014 114,390 miles – A1 Vehicle Services Lotus – A+C service (cambelt). 2014 114,448 miles – MOT. 2015 114,962 miles – Tim Wilcock – A service. 2015 114,998 miles – MOT. 2016 115,220 miles – Tim Wilcock – A service. 2016 115,276 miles – MOT. There are probably more services hidden within the huge amount of paper work. Body work is in excellent condition for its age. The hood is also in excellent condition along with the rear screen that is split free and clear, well as clear as plastic gets. Interior is in fantastic condition. If you look at the pictures it doesn’t look anywhere like a 27 year old car. Wheels are near immaculate with good Toyo T1 r tyres all around. All electrics work, electric windows, heater controls, dials and of course the all important pop-up headlights etc. 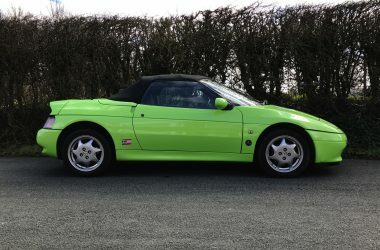 We have driven the car for a few hours and it all seems reliable and drives well enough for its age and mileage, pulls well, gearshifts are precise, clutch has a good bite, engine cooling fan kicks in when it should with no overheating. Engine boosts strong peaking at just under 1 bar on the boost gauge, no warning lights or smoke from the exhaust.